Now that Thanksgiving is just a happy memory, it's time to get ready for Chanukah. As Wayne Steele sang in yesterday's post, I Can't Believe It's Chanukah Again. 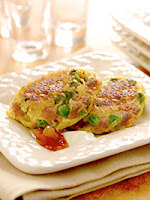 Geller, often called the kosher Rachael Ray, has just released a video showing the step-by-step preparation of Samosa latkes, one of eight recipes that she created for the eight nights of Chanukah. Eight recipes! Yikes! Watch one in the video below and then we'll show you the others. 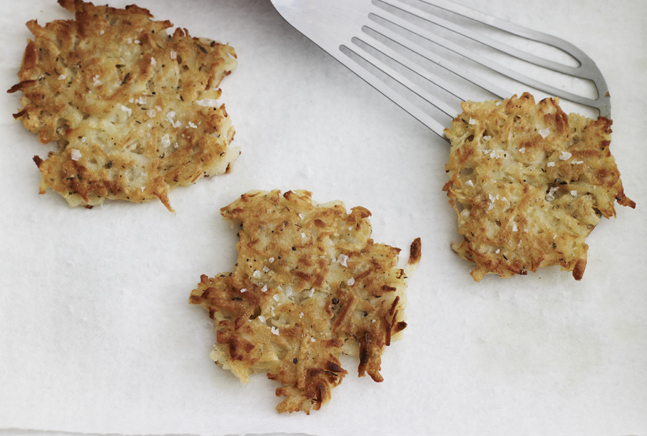 So what are the eight types of latkes? Here they are from Geller's blog, blog.kosher.com, with links to the pages containing the recipes. Start cooking up a storm and enjoy! Night #1 – Cheddar and Potato Latkes – Mashing the potatoes first gives these savory latkes an amazing fluffy texture. 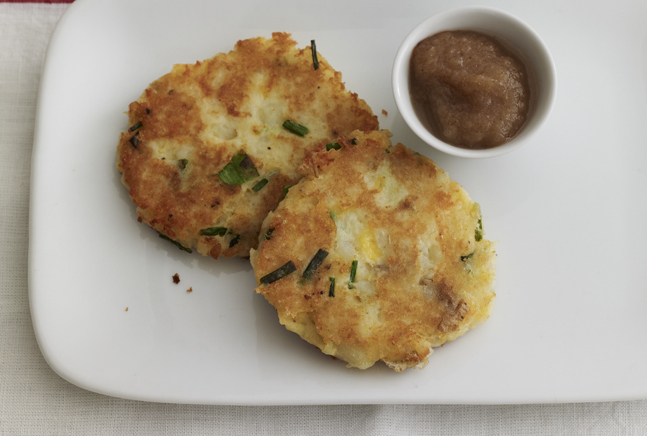 The addition of cheddar cheese goes beautifully with the spiced applesauce for a latke that will surely be one of your new favorites. 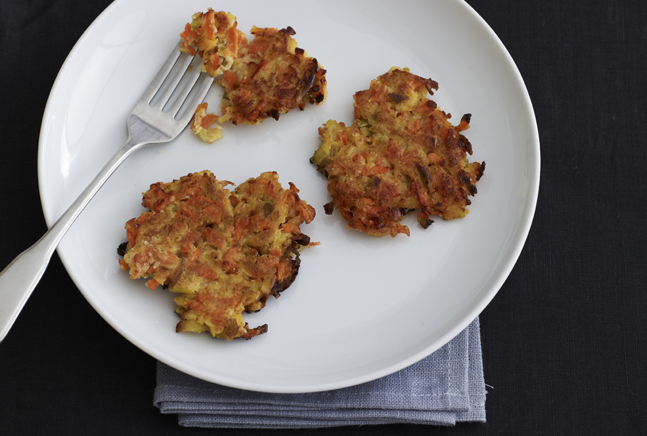 Night #2 – Potato and Parsnip Latkes – Traditional potato latkes get an extra hint of earthiness with the addition of parsnips and thyme. If you have a food processor, try using the shredding attachment to cut down on prep time. 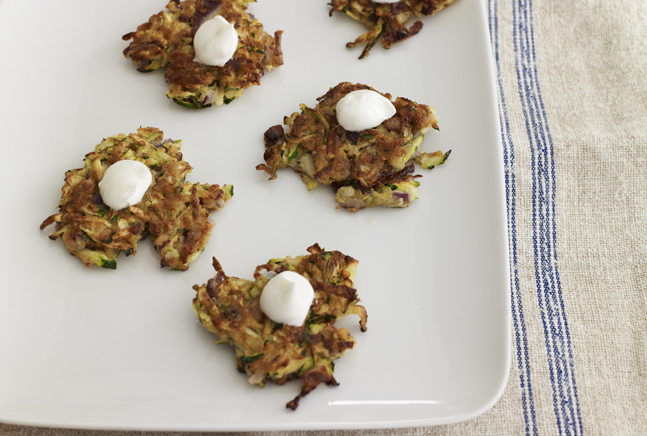 Night #3 – Zucchini Latkes – This healthier latke doesn’t use any potato at all but instead uses tasty vegetables and a great mix of Cajun spices. 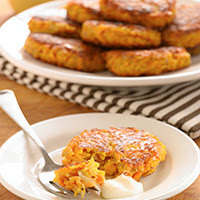 Night #4 – Carrot and Apple Latkes – Carrots, apples and ginger are combined in this unique take on a latke for a slightly sweet twist. 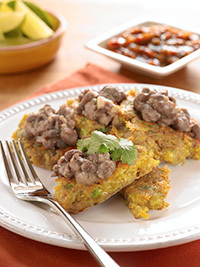 Night #5 – South of the Border Latkes with Black Bean Topping – Spicy, hearty, and cheesy, these latkes are absolutely delicious packed with protein, carbs and veggies – it’s like a meal in one. 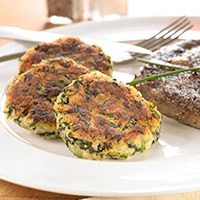 Night #6 – Steakhouse Latkes – Don’t worry this recipe is pareve but the name is inspired by the spinach and potato style sides commonly offered in steakhouses alongside, well, a steak! And, for the people in your life who are purists, Geller offers a couple of traditional potato latke recipes, including her Zaydie’s tried and true classic best ever potato latke recipes: Latkes, Crispy Potato Latkes, and Mashed Potato Pancakes.